While many of us blow dry our hair on the regular, I’ve always been a bit of a believer that I don’t necessarily have to because I live in Arizona. In the summer, as soon as I walk outside with wet hair it is dry within minutes. It’s magical. Well… it’s cold now (it was 44 degree Fahrenheit this morning to be totally accurate) and I don’t want to go out in the morning with sopping wet hair. I finally realized that I absolutely had to find a blowdryer that worked for me, and my finicky hair tendencies. I had heard about Loxa Beauty for a while, but recently I did some more digging to find out exactly what it is they provide. Loxa Beauty is an online beauty retailer, providing us as consumers with access to more than 4,000 professional hair and beauty products. They are also the exclusive online retailer for brands including Paul Mitchell (which you know I absolutely love! ), Morgan Taylor, American Crew, Joico and more. This post is in collaboration with Loxa Beauty. As always, all opinions and thoughts are always honest and always my own. I would encourage you to check out the Loxa Beauty site, because there’s a lot of tempting goodies for a beauty lover! When Loxa reached out to me, I went through their site and picked some items I thought I would do well with. If you’ve been around my little sliver of the Internet for a while now, I’m not the biggest hair fanatic. To me, my hair doesn’t give me the same type of excitement that liquid lipsticks do, and I realized over the past two years that it is a problem. After battling with an extremely dry and itchy scalp, a pound of dandruff later, I realized it was time to take better care of my hair. 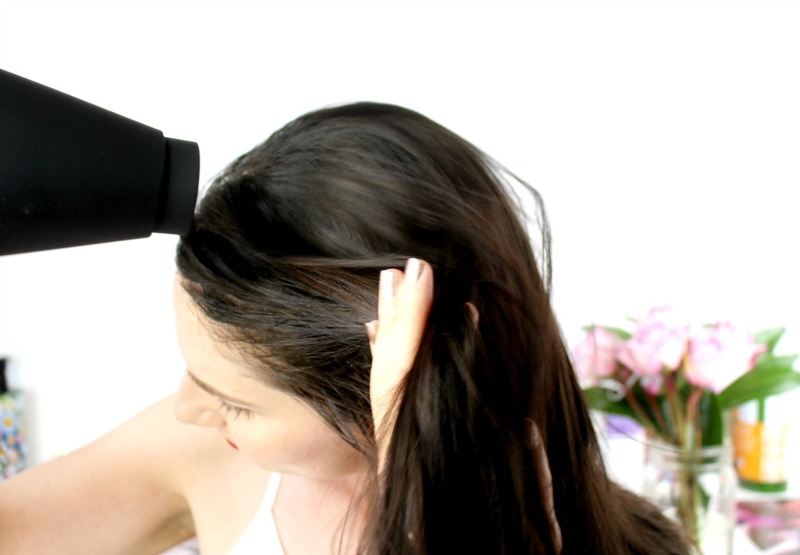 I came to my senses and realized that I absolutely do not want to lose hair prematurely and I want to ensure my hair stays healthy and looking the best it can. I was excited for the opportunity to find tools that could help me with this end goal in mind. 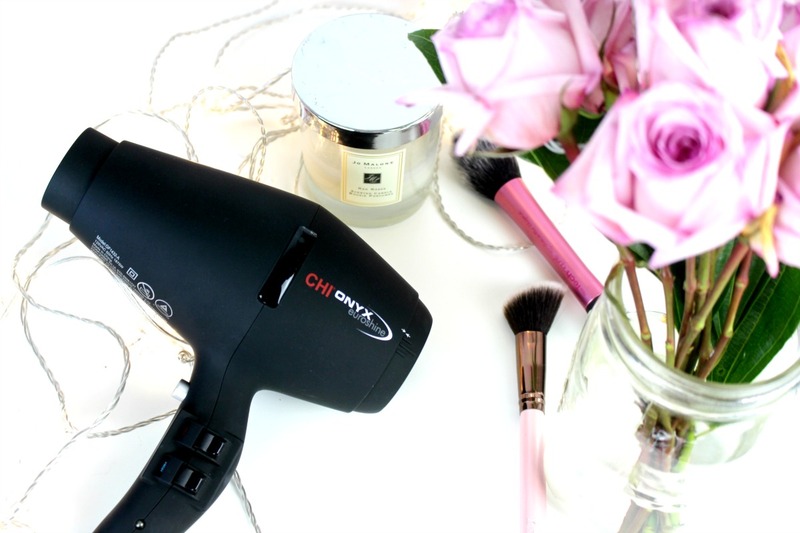 I had never tried any tools from Chi, but I do think Chi has a lot to offer and my girlfriends have always just raved about the brand. 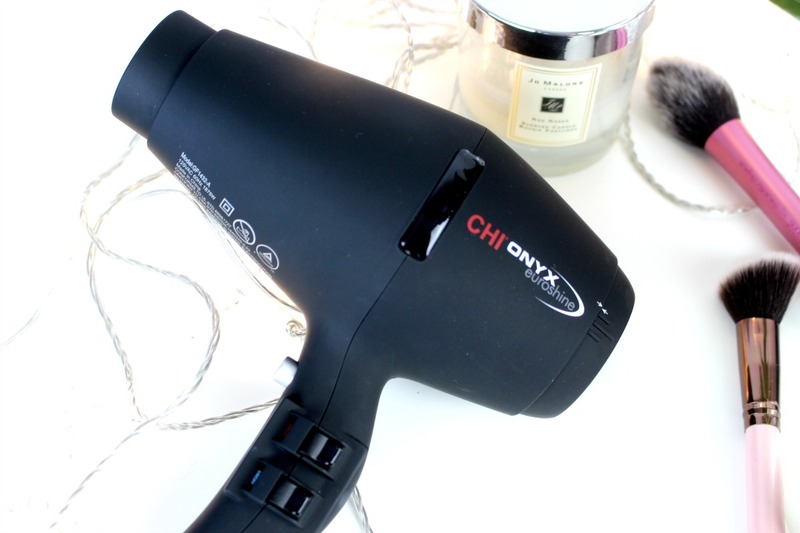 The Chi Onyx Euroshine Hair Dryer offers a mid-sized, European inspired design. It can collapse into a smaller size, which makes it incredibly travel-friendly – score for you who travel just as much as I do! It has a dryer grill infused with Onyx-Ceramic, which promotes negative ion distribution for intense shine enhancement. The one thing I really like is the capability to choose the heat, and amount of it. 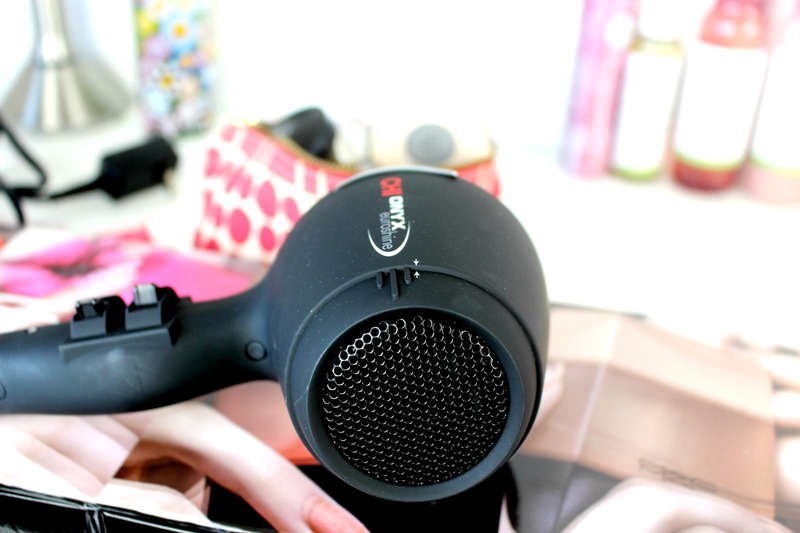 This blowdryer also features cool air too, which makes it even more useful in case you just need some air to style a look. 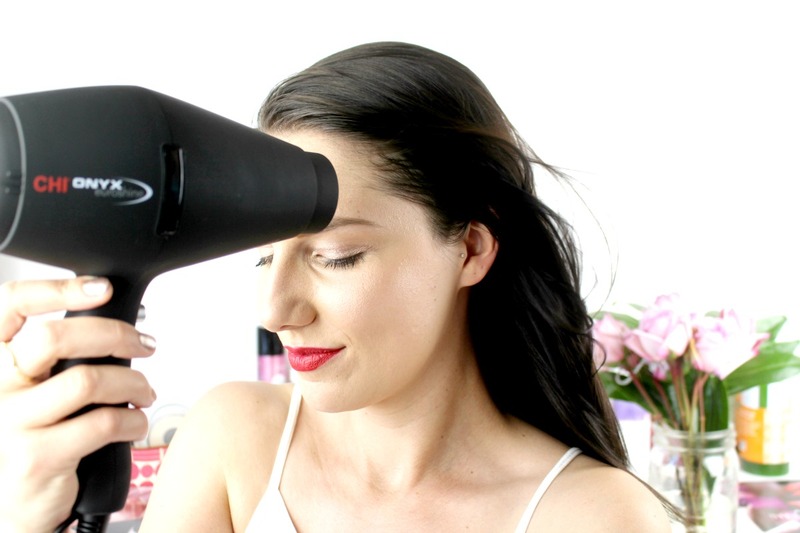 This can dry my hair so quickly, and I don’t have to wait around for the normal 20+ minutes to ensure my hair is completely dry. 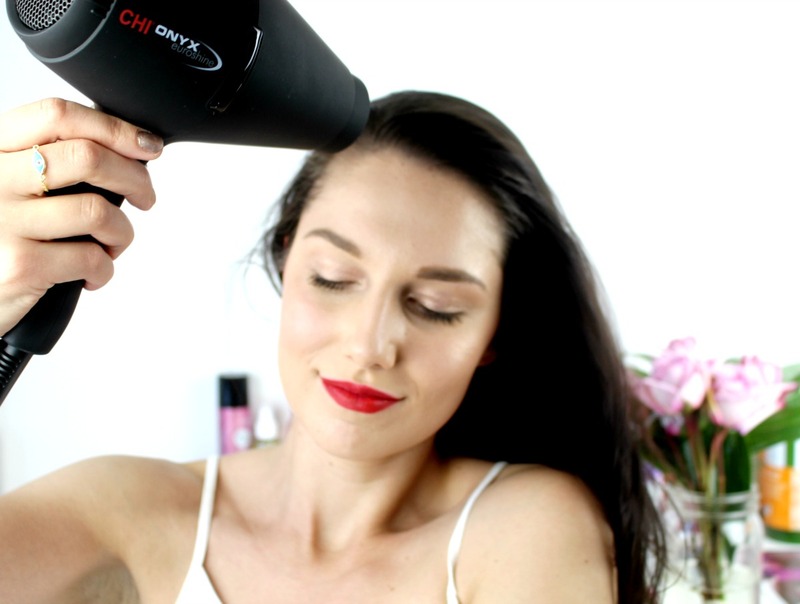 All in all, I am super impressed with this blowdryer and it is the best one I’ve tried thus far. If you’re convinced this is a badass blowdryer, I am giving one away. That way, you can see for yourself. Scroll down and watch my YouTube video and enter the giveaway. 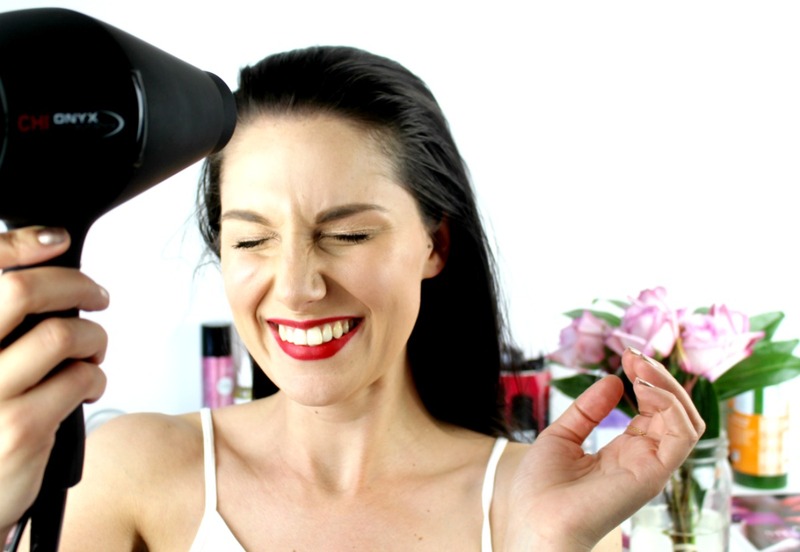 In case you aren’t subscribed to my YouTube channel, I am giving this awesome blowdryer away in my latest giveaway. It started on Sunday, so you have a couple more days to enter to win!